Someone diagnosed with a traumatic brain injury (TBI) has suffered a complex injury. This injury can cause a broad spectrum of symptom along with some devastating disabilities. The impact on the individual and their family can be life-altering. While the severity of the traumatic brain injury will generally scale with the severity of symptoms, this isn’t always the case. For example, some people with brain injuries may not have any symptoms at all. 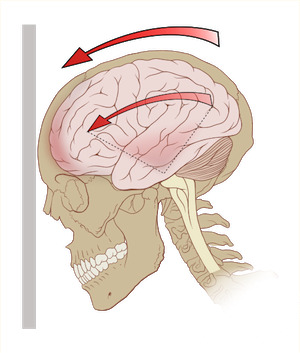 In addition, one type of brain injury called an epidural hematoma typically starts with a loss of consciousness followed by a “lucid interval” where the patient wakes up and appears fine; however, the injury progresses during this period until the patient loses consciousness once again. If there is any suspicion of a brain injury, patients should make sure that they seek medical attention immediately for imaging procedures. Because of the wide variety of symptoms of brain injuries, it is essential to get an objective picture of what is happening inside of the skull. This could include both a CT scan and an MRI. CT scans are significantly faster than MRI scans and are used on an emergent basis to look for broken bones and bleeding on the brain. An MRI scan takes longer but provides more detail regarding potential damage to soft tissue underneath and the various types of brain injuries. An MRI can also help diagnose the various levels of brain injury, grade the damage, and provide some information regarding the prognosis. While imaging scans are nice for providing a potential prognosis, brain injuries are notoriously difficult to project. Unlike other tissues in the body, brain tissue does not regenerate to the same degree once it has been damaged. Therefore, medical professionals need to wait for patients to wake up after any injury has been sustained or after a surgical procedure has been performed. After this, it will rehabilitation after a traumatic brain injury to get a better idea of what a patient’s new baseline function is going to be. While some people make full recoveries from brain injuries, others may never fully wake up. A significant amount of attention will be focused on the patient after a brain injury, and rightfully so; however, the stress that a family endures should not be forgotten. The emotional difficulties may be great, the logistical details could be challenging, and a family’s financial situation may be unclear. For this reason, nobody should ever hesitate to ask for help when needed. I’m Ed Smith, an Antioch Brain Injury Lawyer. Brain injuries are serious matters that can leave patients and families searching for answers. If you or a loved one has suffered a traumatic brain injury, please contact me at (925) 428-5220 for friendly, free advice. I am a member of the California chapter of the Million Dollar Advocates Forum. We are a group of many of the top-rated trial lawyers in the country. Forum members have obtained verdicts in the million and/or multiple million dollar range. Please take some time to view my prior verdicts and settlements here. See my reviews on Avvo, Yelp, and Google.